today's layouts were inspired by this pin.. These layouts are sooo great! They are going to pinspire you to make fun things! 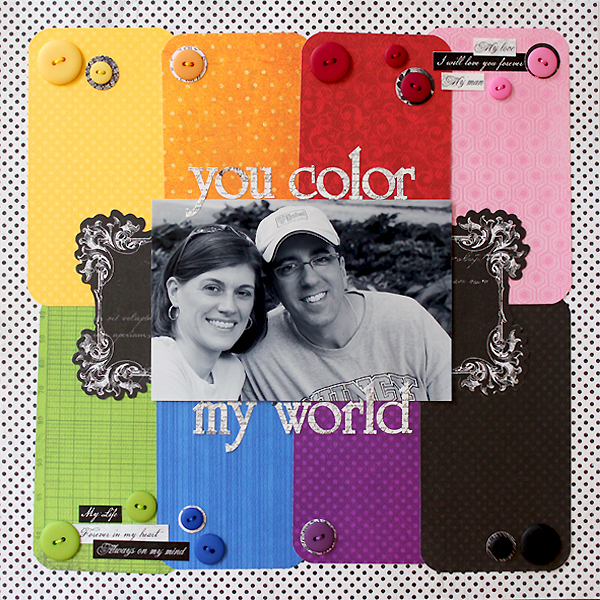 Juliana says, "I was most definitely inspired by the bright bold colors framing the black and white in the center. I choose to use a black and white photograph, stickers, noteworthy and background paper to offset the bright colors and to represent the white in the center of the image. I then cut rectangles from various Bo Bunny Dot papers, rounded the corners and placed them on the background paper to mimic the colored groupings. I then centered my photo and added the title, stickers and buttons." 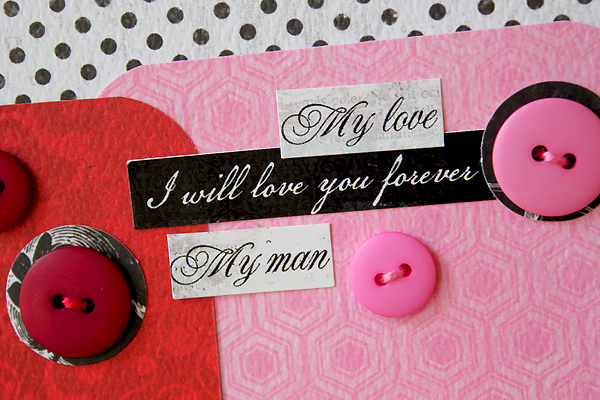 I love the way this layout shows off the Double Dot papers! They are such a staple at my house. Have you guys used DD papers? Yes? No? 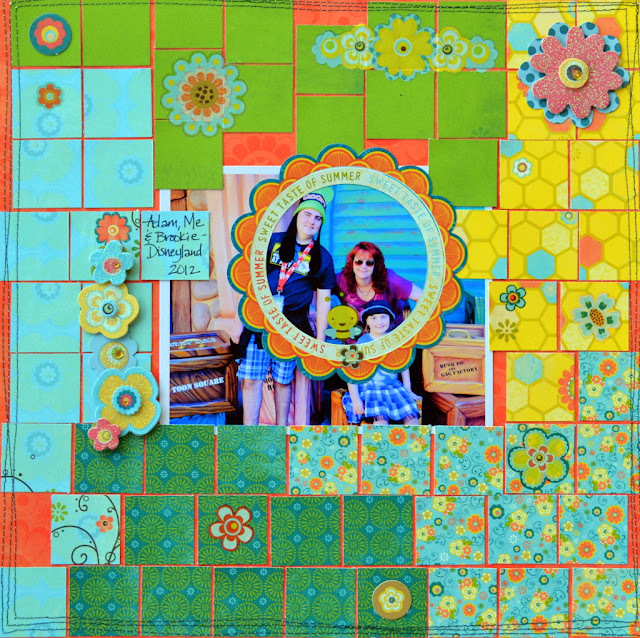 Julie says: "I was inspired by the colors and all the square elements in the photo -- and I decided to make a lot of different squares using the Hello Sunshine collection, and create a frame around my photo!" 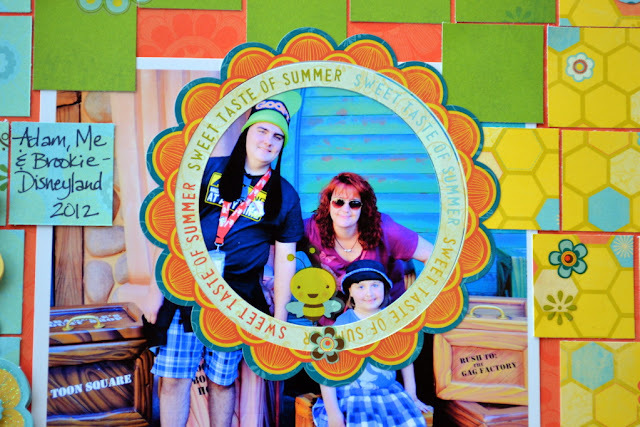 "Cardstock stickers can make a perfect frame for your photos! You can use them to highlight the part of the photo you really want to concentrate on!" I love how Julie left random spaces in the squares to mimic the dice. I will definitely be trying this technique. Robbie says: "I was inspired by the squares and by the dice. 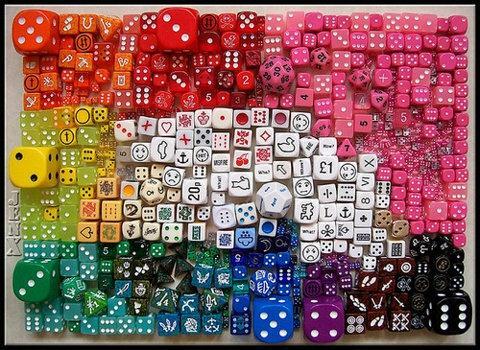 To me, the dice look like a whole sea of polka dots! 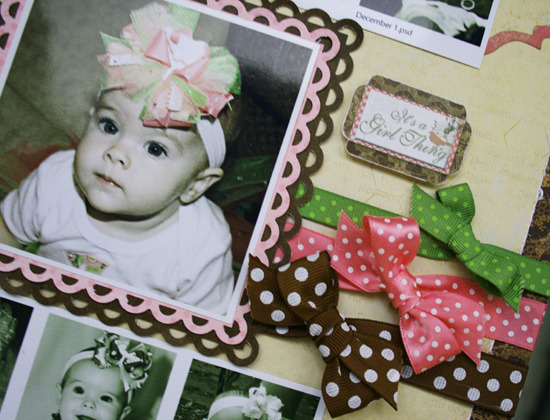 For my layout I incorporated a lot of squares with the pictures and added 3 different polka dot ribbons." 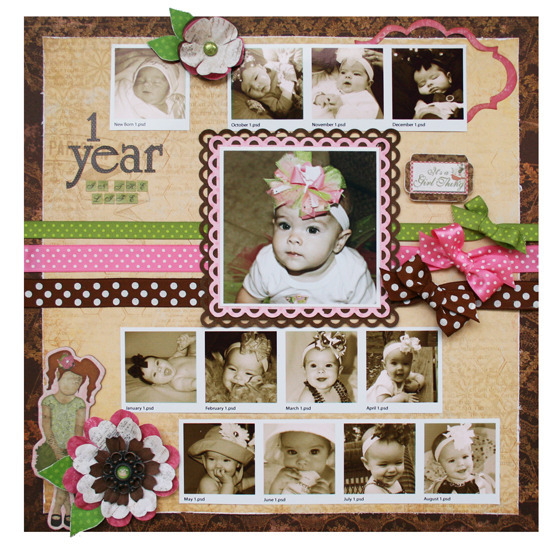 "When using lots of small photos, consider printing them as a contact sheet. I also named my pictures by the month they were taken and added that to the contact sheet." Tara said, "I was completely inspired by the bright colours of this PIN as it reminded me of a rainbow. I wanted to do something that incorporated a happy, summery feel to it so I decided to scrap this photo of my daughter and husband in our backyard a few weeks back." I love these layouts so much and I love how different these girls are inspired by the same thing. Go get your supplies our and go with your inspiration while it's fresh in your head and make sure to share it with us when you get a chance!! Thanks for hanging out with us!!! these are so fun!! I love the inspiration from the picture and from the DT!! love it!! SOOOO much fun!!! Great colour challenge!! Loveeeeee what Juliana, Robbie and Tara made!!! Absolutely gorgeous!!! !